(AP)—A professor emeritus at New York City's Hunter College who studied biochemistry and taught laboratory science has died. Irwin Oreskes was 86. He suffered a brain hemorrhage after a fall and died Friday in Manhattan. Oreskes was a beloved teacher and mentor to generations of students. He was a member of the City University of New York doctoral faculty in biochemistry until his retirement from Hunter College in 2003. In 1970, he founded the college's Medical Laboratory Sciences Program, the largest clinical technology program in New York state. He took pride in the economically disadvantaged students and minorities he mentored and encouraged in their careers. Oreskes was a 1949 graduate of City College. He received a master's degree from Brooklyn College and a doctorate from CUNY. He served in the Army during World War II. THIS IS A BREAKING NEWS UPDATE. Check back soon for further information. An earlier story is below. Irwin Oreskes, a professor emeritus at Hunter College who studied biochemistry and taught laboratory science, has died at age 86. Oreskes, who died on Friday in Manhattan, was a member of the City University of New York doctoral faculty in biochemistry until his retirement from Hunter College in 2003. He was a beloved teacher and mentor to generations of students. In 1970, Oreskes founded the college's Medical Laboratory Sciences Program, the largest clinical technology program in New York state. That program was one of the building blocks for the School of Health Sciences, which opened in 1974 at the Brookdale Health Science Center. Oreskes served as the school's dean for several years. Former Hunter College President Paul LeClerc said Oreskes was "one of the single best faculty members I've ever had the pleasure of knowing and working with." "He was smart, principled, balanced in his judgments, totally dedicated to the welfare of Hunter College and its students and a source of unfailingly wise counsel to me," said LeClerc, who was Hunter's president from 1988 until 1993. Oreskes took pride in the economically disadvantaged students, minorities, immigrants and women he mentored and encouraged in their academic and professional careers. He was a member of the American Association of Immunologists, the American Association for Clinical Chemistry and the American College of Rheumatology. He co-authored the book "Rheumatology for the Health Care Professional." Much of his scientific research was devoted to the immunology of rheumatoid factor and altered immunoglobulin G in rheumatic diseases. Oreskes, a 1949 graduate of City College, received a master's degree from Brooklyn College and a doctorate from CUNY. 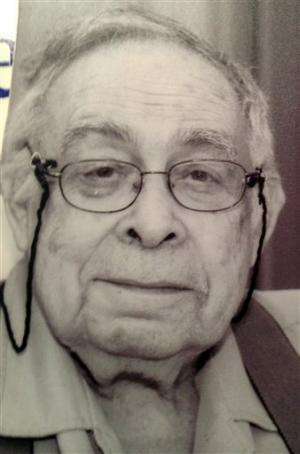 He served in the Army during World War II. Oreskes believed in the power of scientific thinking and the free public education offered by New York City, said his son Michael Oreskes, senior managing editor at The Associated Press. "He was a product of that education: an immigrant's kid who learned to be a scientist," Michael Oreskes said. "And he carried on that tradition by building a school at City University that gave immigrants and their kids a path to success in America." Besides Michael Oreskes, Irwin Oreskes also is survived by his wife, Susan Oreskes; his other children, Naomi Oreskes, a science historian, Daniel Oreskes, an actor, and Rebecca Oreskes, a writer and former ranger with the U.S. Forest Service, and five grandchildren. His funeral will be held on Sunday at Jewish Community Chapel.